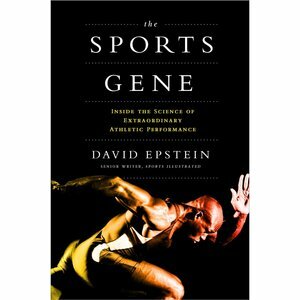 Author David Epstein of The Sports Gene:Inside the Science of Extraordinary Athletic Performance joined Stephen McCarthy of The McCarthy Project to discuss his book and his motive for writing Sports Gene. Secondly, we discussed how to apply his findings to athletes and the future application of dna or genetic research. Complete interview will be aired on Friday September 6th at 8am CST. David’s motive was his joy for researching, science and sports. He has always been fascinated with elite performance and why certain athletes from certain areas of the world perform at higher levels. To listen to this portion of the interview, visit David Epstein and His Story. During the second part of the interview, we talk about future applications of his research and the trend of analyzing your DNA for the purpose of understanding how you can train at a higher level. We also discussed some of the pitfalls of the science and how athletes can use the information for their benefit. Click here to listen to David and Stephen’s thoughts on The Future of Genetic Testing and Its Application. Sports Illustrated Senior Writer David Epstein writes about sports science and medicine, Olympic sports, and is an investigative reporter for SI. His science writing has won a number of awards, including the Society of Professional Journalists 2010 Deadline Club Award for an article on the genetics of sports performance; Time Inc.’s Henry R. Luce Award for public service for an article on the dangers of the dietary supplement industry; and the Hypertrophic Cardiomyopathy Association’s “Big Hearted Journalism” award for his story “Following the Trail of Broken Hearts,” on sudden cardiac death in athletes. Epstein was a 2011 Livingston Award finalist for a package that included articles on pain in sports and the anticipatory skills that allow Major Leaguers to hit 100 mph fastballs.